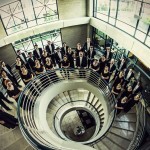 Chapman University’s top choir, the Chapman University Singers, will embark on a concert tour of Texas from January 10-18, 2015. The acclaimed choir will offer performances in venues in and around San Antonio, Austin and Dallas/Fort Worth. Saluting the Protestant denomination that founded Chapman University in 1861, most of the concerts will be at churches of the Christian Church/United Church of Christ. All the concerts are free and open to the public. 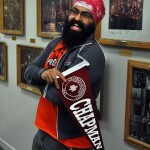 Harjus Sethi, a senior who studies directing at Chapman University’s Dodge College of Film and Media Arts, was chosen by the Sikh American Legal Defense and Education Fund (SALDEF) to ride on the first-ever Sikh American float at the Rose Parade on New Year’s Day. The A. Gary Anderson Center for Economic Research at Chapman University released today the results of its 37th annual economic forecast for the U.S., California and Orange County. The forecast was presented to about 1,500 Orange County business leaders at a conference held at the Segerstrom Center for the Arts, Costa Mesa. Following are highlights of the forecasts.